It was shocking to many Somalis that USA granted entry visa to Al Ittihad Jihadist Fahad Yassin Haji Dahir who serves as Deputy Chief of Somali Intelligence Agency. Fahad who was among the first combatant team of Al Ittihad in early 1990ties appeared in the frontlines of the terrorist groups in several parts of Somalia. He caused a mayhem to many Somali innocent people as well as military personnel from the neighboring countries and western countries who came to help Somalis get rid of terrorist menace. He is accompanying Somali PM Hassan Ali Kheyre and is expected to meet US leaders including John Bolton, the US National Security Advisor. The USA, the super power in this 21st century world has played a very dangerous card of granting visa to a terrorist suspect who committed such atrocities against human beings. This brings a very logic question to the relatives of the victims in Somalia and outside Somalia, whether the US is committed in fighting terrorism genuinely. 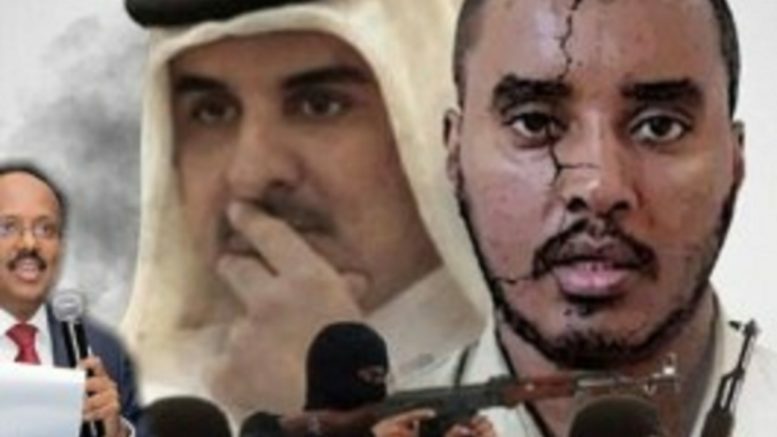 Fahad was the financier of several terror groups in Somalia, and he used to supply them with information, money and all their needs to sustain the fighting that claimed the lives of thousands of innocent people. On top of that Fahad Yassin has faked Kenyan documents, a habit which is common to international terrorists in a bid to disguise themselves among the law-abiding citizens. He used the papers of a Kenyan Nubi community poor man in his documents known as Ahmed Tahir from Kibira slums in Nairobi. Granting Fahad Yasin an entry visa to United States is a slap in the face to the American people who lost their lives in Somalia and in the Horn of Africa region to eliminate the spreading virus of the terrorism. This also raised questions whether the US diplomats for Somalia are caring about the victims of the war on terror, since they are the ones who cleared Fahad to get the visa. The ball is now in the hands of peace loving law-abiding US citizens to seek clarification on how a terror suspect who has blood in his hands is receiving a hero welcome on their soil, while the relatives of the fallen soldiers and innocent civilians are struggling to heal the wounds of the bitter memories left behind by the terror activities of Fahad and his evil forces.